This is an adaptation of a recipe from The Pioneer Woman that I saw on The Food Network the other day. I am planning an hors d’oeuvres get together for some time in early summer and thought these bite size pizzas would be a good addition. Ree’s recipe is made with puff pastry. I had a round of my favorite pizza dough in the freezer and decided to use that instead. It was quite easy to roll out the pizza dough, cut it into small circles and top it with basil pesto, Roma tomato rounds, and Parmesan cheese. I baked the rounds on a pizza stone in a hot (400 – 450 degree) oven for about 20 minutes. Or you can follow The Pioneer Woman’s Recipe using puff pastry. We are excited about an upcoming trip to Paris in the Fall. I have found this charming apartment in The Latin Quarter to rent for a week. Will let you know more as plans come together. 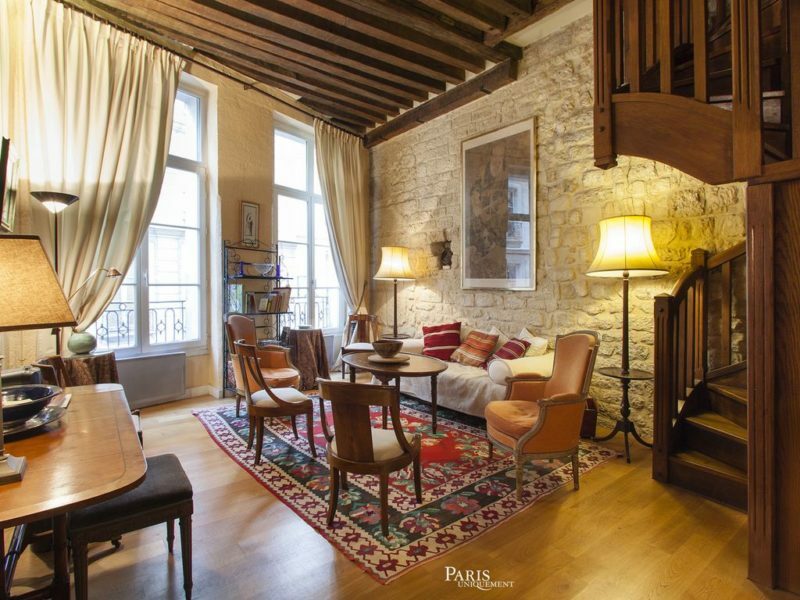 If anyone has recommendations for restaurants in the 5th Arrondissement I would appreciate it. Posted on May 4, 2017 at 9:47 am. This will be a very quick post, but an important one. 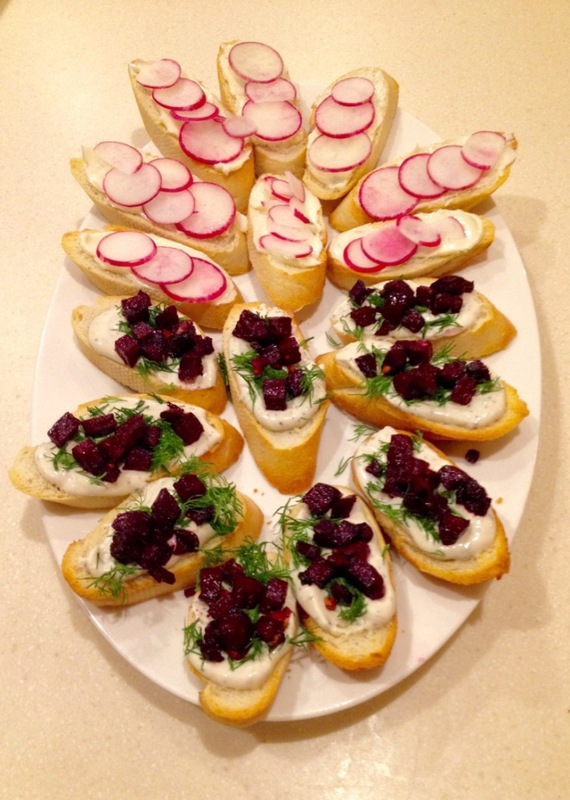 Because we loved these Crostini Appetizers that our DIL made for Christmas, I had to share them with you. Either one of them would be perfect for your New Year’s Eve celebration. I plan on making the roasted beet, dill and boursin crostini for our contribution to the appetizer table when our friends’ get together this year. We celebrate with the same group of long time friends each year. This year we will be in Hilton Head SC. We spend three days together eating, laughing, playing cards, shopping, golfing for the guys, and movie going for the gals. The menus vary little from the traditions that we have established. New Years Eve includes numerous appetizers, filet of beef, potato casserole and a gorgeous salad. New Year’s Day is slow roasted pork, black-eyed peas, rice, collard greens and corn bread. 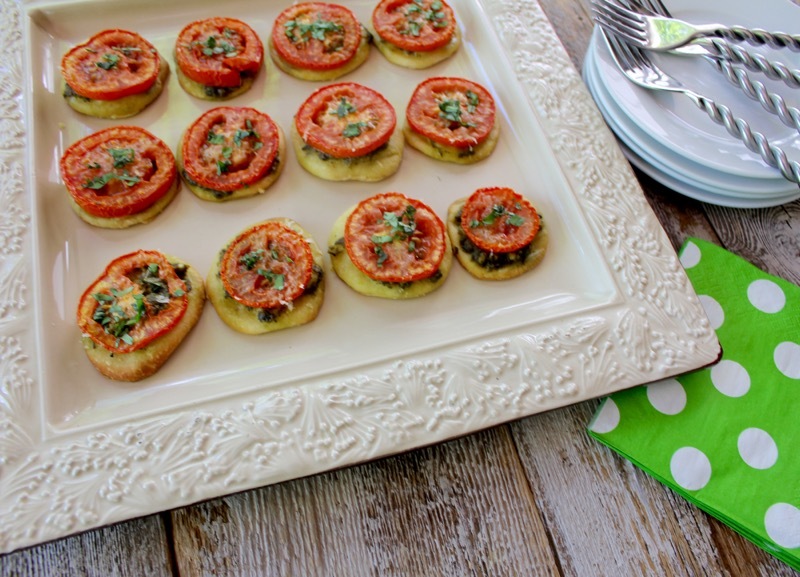 Either one of these appetizers would be a colorful addition to your appetizer tray. The radish and butter crostini is very simple and elegant. The beet and dill appetizer is colorful and delicious. Happy New Year to all of you. I look forward to starting 2016 here with all of my blogging friends. Place radishes in medium bowl of ice water and chill at least 30 minutes and up to 2 hours. Drain radishes and slice thinly. Spread butter generously over baguette slices and sprinkle lightly with sea salt or coarse kosher salt. Arrange radish slices atop buttered baguette slices and serve. Preheat oven to 375 degrees F. Place diced beets on small roasting pan. Coat with olive oil and a little garlic powder. Roast until cooked through, about 10 to 15 minutes. Cool. Posted on December 30, 2015 at 9:42 am. Our 4th of July celebration was another event to file away in the memory archives, especially for the children. It is my hope that the Grandchildren and their cousins will always remember the fun, food and the joys of life on the lake. The food front was well covered. Everyone contributed something wonderful. 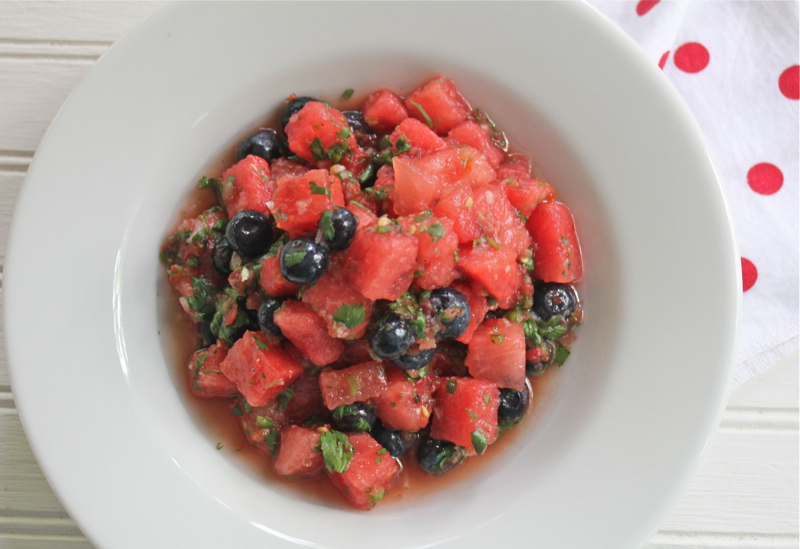 My DIL Kristen made this watermelon blueberry salsa that was out of this world delicious. She found the watermelon recipe on a blog called Love and Olive Oil. It is refreshing because of the fruit, a little hot from the jalepeno peppers, complex from the tomato and onion rough puree and brightened by the cilantro. I couldn’t stop eating it with “scoop” shaped tortillas chips. Kristen has many creative recipes. And the good news is that she has recently launched her own blog called MENUbility where she offers practical tips, recipes and family-friendly ideas for dinner. I have been downloading her free and practical blank grocery shopping list every week. Our meals included the typical holiday selections of pulled pork, grilled ribs, hamburgers, chicken and lots of interesting sides. 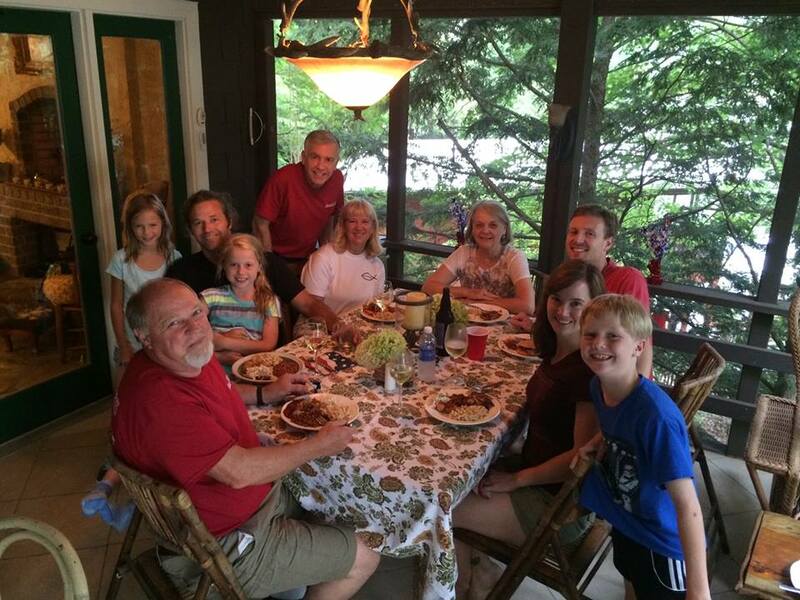 Our evening gatherings on the porch were a special part of our days. 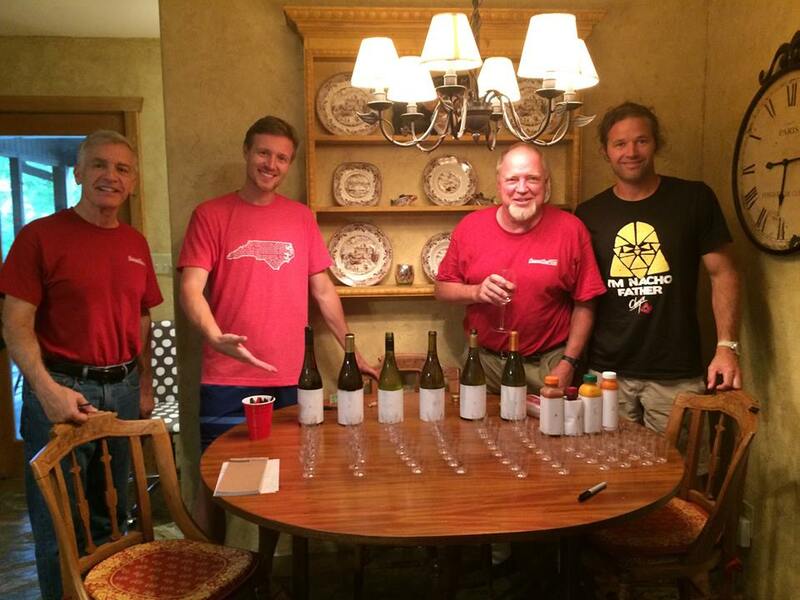 We also held our annual wine tasting. This year’s wines were Viognier white wines. Viognier is a white wine grape variety originating in the Rhone Valley in France. It is now produced in many parts of the U.S. The winner was a 2012 K Vintners from Columbia Valley in Walla Walla, Washington. On the right of the table are 4 juices for the kids’ tasting. Thanks Dave A. for choosing and bringing the wine like you do every year. Great job. 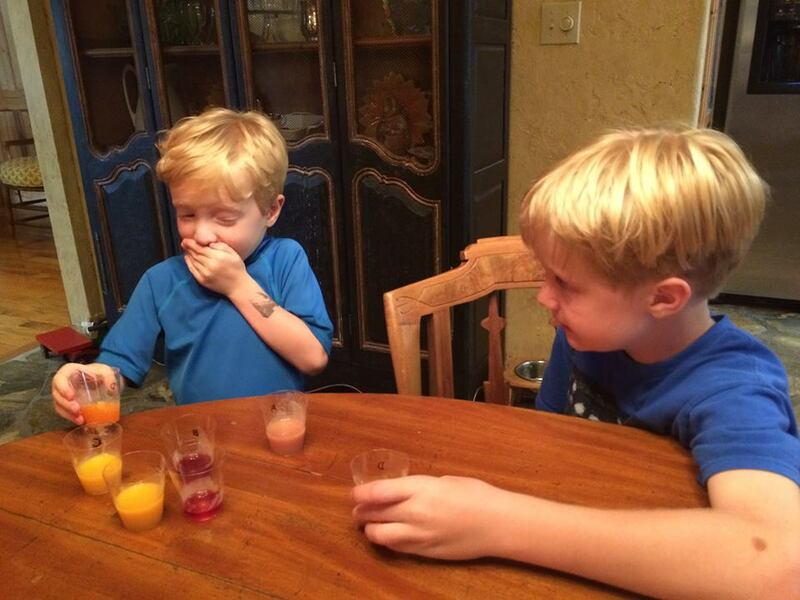 I guess you can tell that Cameron was not too fond of the carrot juice. The winner turned out to be a tie between the strawberry and pomegranate juice. 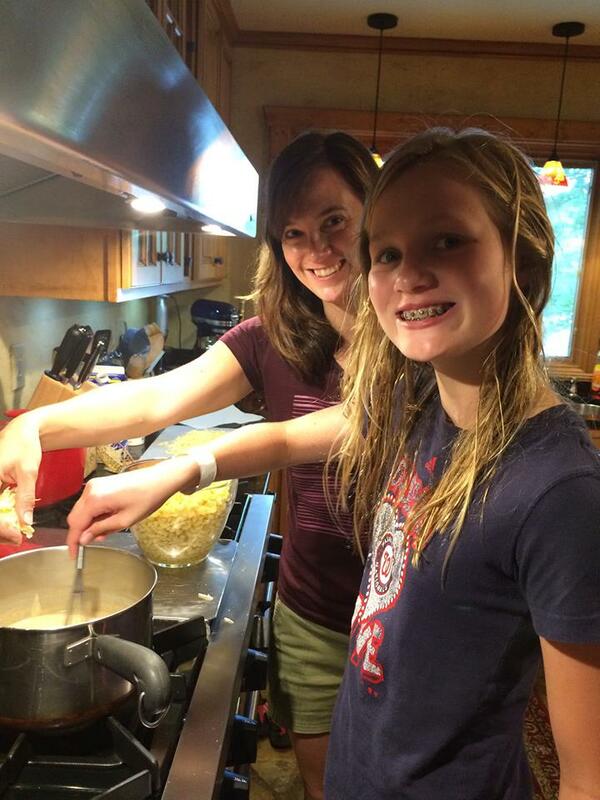 Kristen enjoyed teaching her niece Keenan how to make great Macaroni and Cheese. Keenan has a great interest in cooking since we seem to be a family almost obsessed with it. Kristen’s recipe is on her blog. 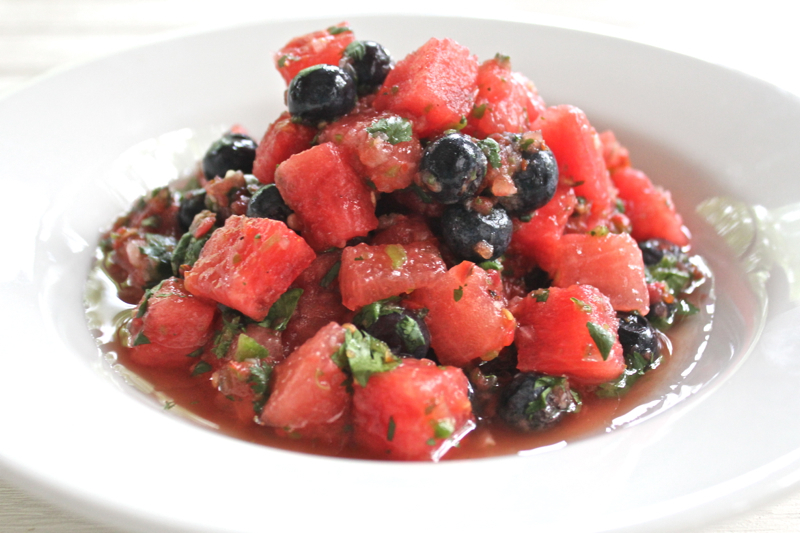 I know you will love this Watermelon Blueberry Salsa recipe also. Thank you to Love and Olive Oil. Thank you also to Darla for taking many of the pictures. Posted on July 7, 2015 at 1:10 pm. Happy Valentines Day. I know that most everyone is making chocolate desserts for Valentines Day, but I decided that I wanted something a little bit different. I love chocolate but I also love a good appetizer to be served before a decadent dinner of steak with bearnaise sauce, truffled mashed potatoes and asparagus with prosciutto and parmesan. These bites would make the perfect beginning for that romantic dinner. Actually that is just my fantasy dinner. We will be in North Carolina celebrating our Grandson’s 4th birthday on Valentines Day. Perhaps he will have a chocolate cake. But I did make these last night before our dinner of Veal Saltimbocco with Julia Child’s scalloped potatoes and snow peas. 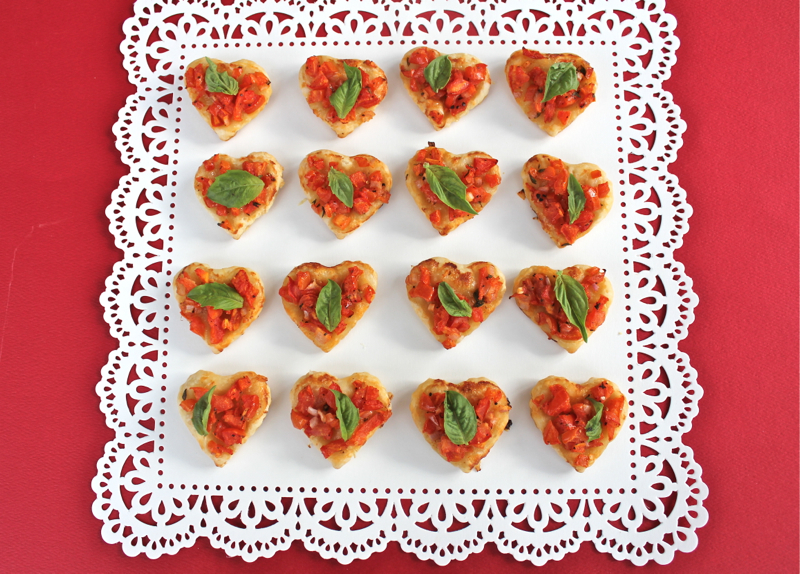 These puff pastry hearts are really very simple. 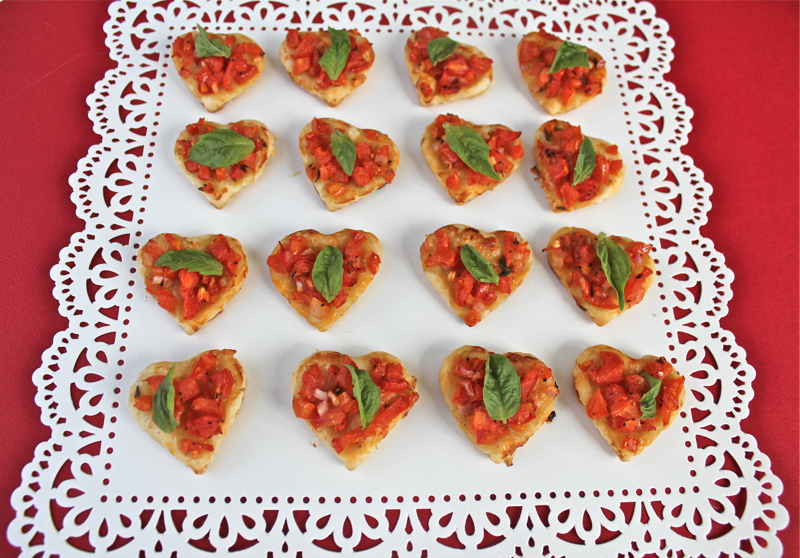 It just takes a little patience to spoon the topping of tomatoes, shallots, and Parmesan cheese on the pastry hearts. I tried to maintain a heart shape with the red tomatoes. My heart cookie cutter measured 1 1/2 inches, but you could use a larger cutter if you prefer. Wishing everyone a lovely holiday with your loved ones. I am linking this to Foodie Fridays at Rattlebridge Farm. Combine the first 6 ingredients in a medium bowl. Place the sheet of pastry dough on a work surface lightly dusted with flour. Cut the dough with the 1 1/2-inch heart cutter into about 20 pieces. 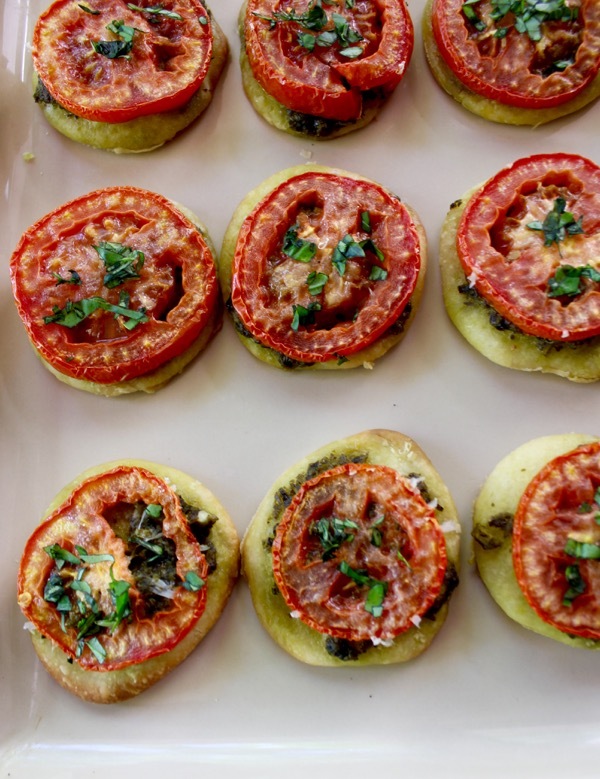 Place on a baking sheet coated with cooking spray or a piece of parchment paper. 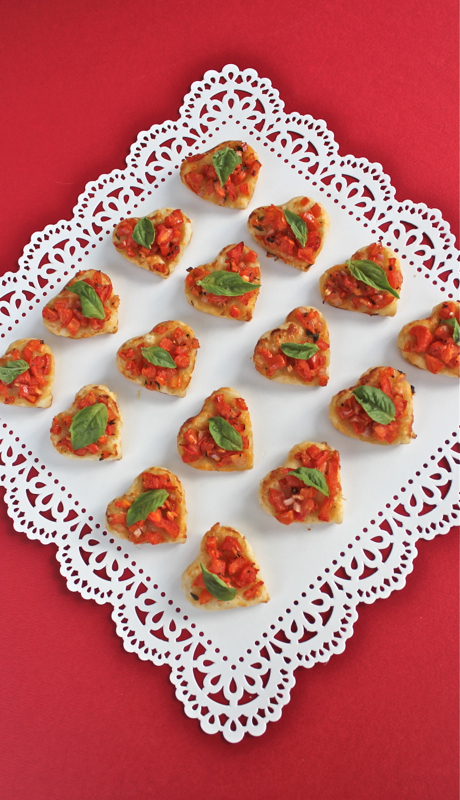 Top each heart with a small amount of cheese and a small amount of the tomato mixture. Bake at 400 degrees F. for about 15 minutes or until golden. Sprinkle tarts evenly with salt. Sprinkle with basil leaves, if desired. Posted on February 12, 2015 at 6:42 am. 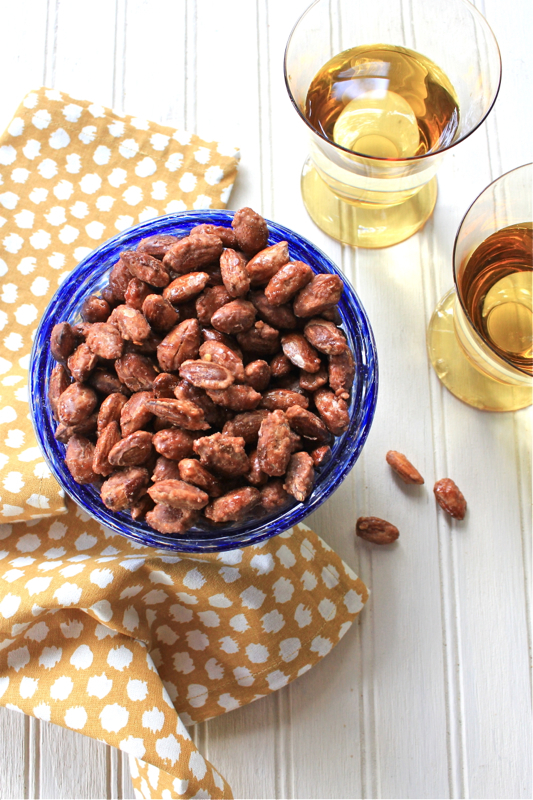 You may remember that in this post I suggested that everyone should have an “in house” recipe for flavored nuts. 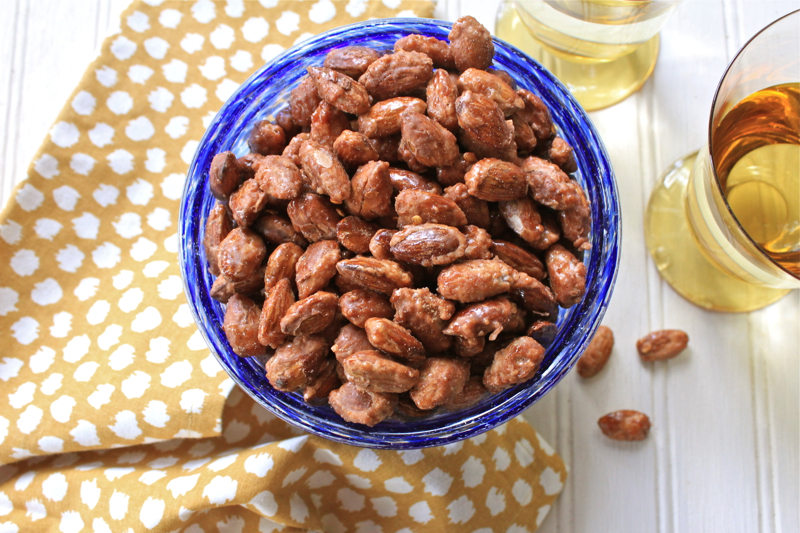 I have finally found my favorite nut recipe that will be on my appetizer table all through the holidays. It will also be in cellophane bags as gifts to friends and neighbors for Christmas. It doesn’t hurt that the recipe came from David Lebovist via Susan Herrmann Loomis of On Rue Tatin fame. This is a recipe that requires your complete attention from the very start. You cannot leave the almonds alone in the pan until they are done. Susan has a very complete detailed description of how you should caramelize them, so I will not include the recipe here. I found that it was very easy to follow her directions with pictures of each step. You can go to her post here. These nuts keep in a covered container for up to two weeks and freeze well. I feel secure that I will have them available for both planned and unplanned get togethers. 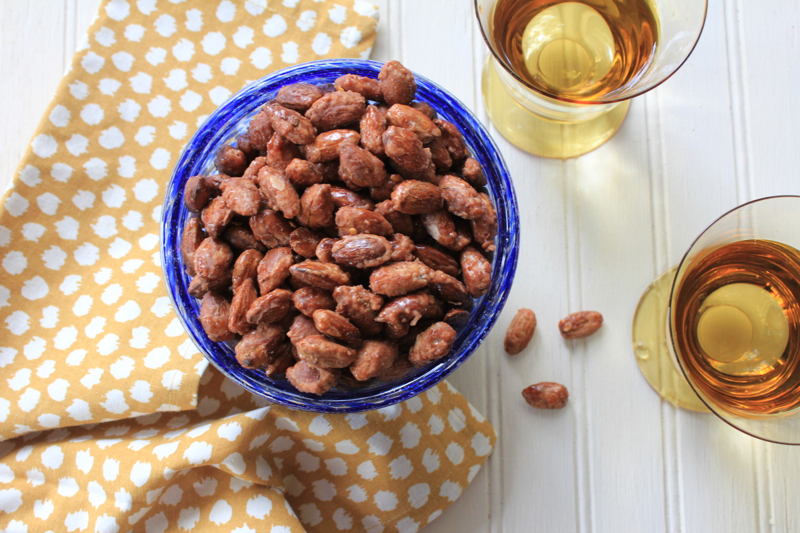 You need to make these candied spiced nuts this holiday season. You will not be disappointed. The recipe calls for piment d’espelette. I used crushed red pepper flakes. Would love to hear from you if you make them. They are addictive. Posted on November 4, 2014 at 6:03 pm.